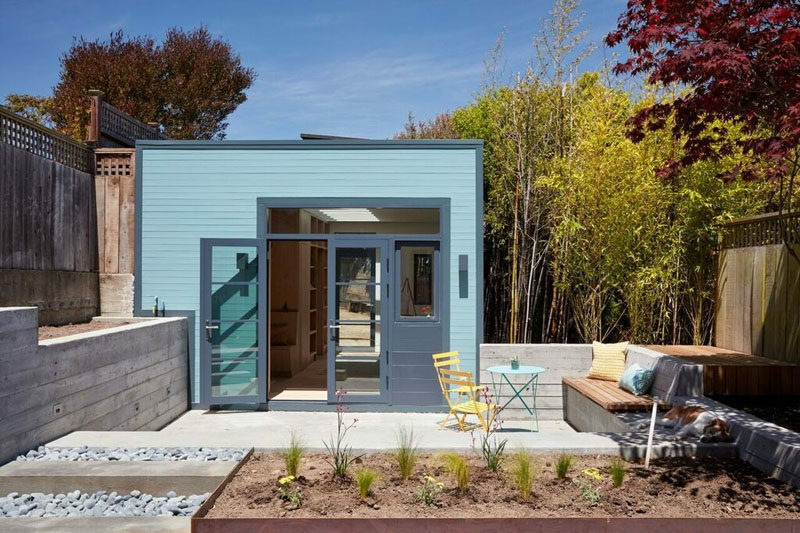 Bach Architecture have recently completed the conversion of a freestanding carriage house/garage into a small backyard studio for a home in San Francisco, California. 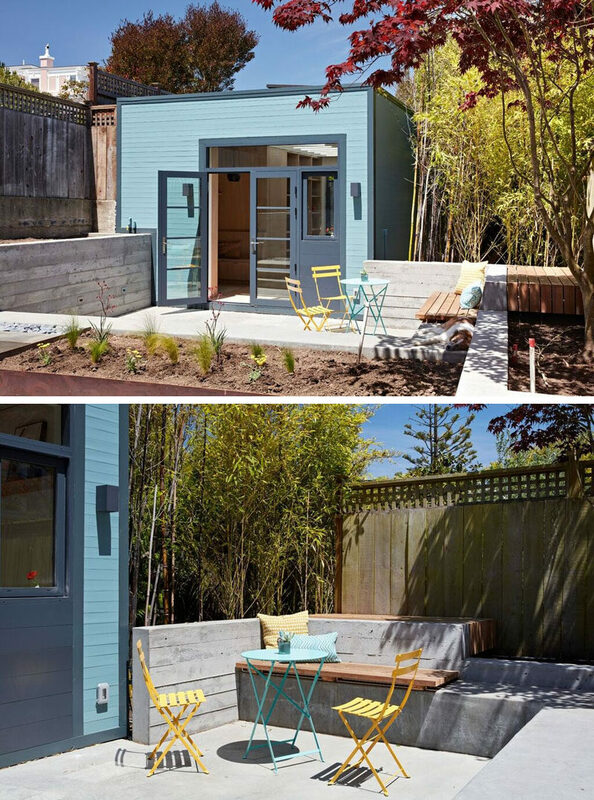 The designers also updated the backyard that separates the home from the studio. Solid bluestone pavers and board-formed concrete benches and planters were added to the courtyard, creating various places to relax in the sun. Heading inside, there’s a reading nook with a built-in bench and floor-to-ceiling bookshelves. Further into the studio, the white oak wood panels continue creating even more shelving. On the opposite wall, a long wood floating shelf sits on a bright white wall. 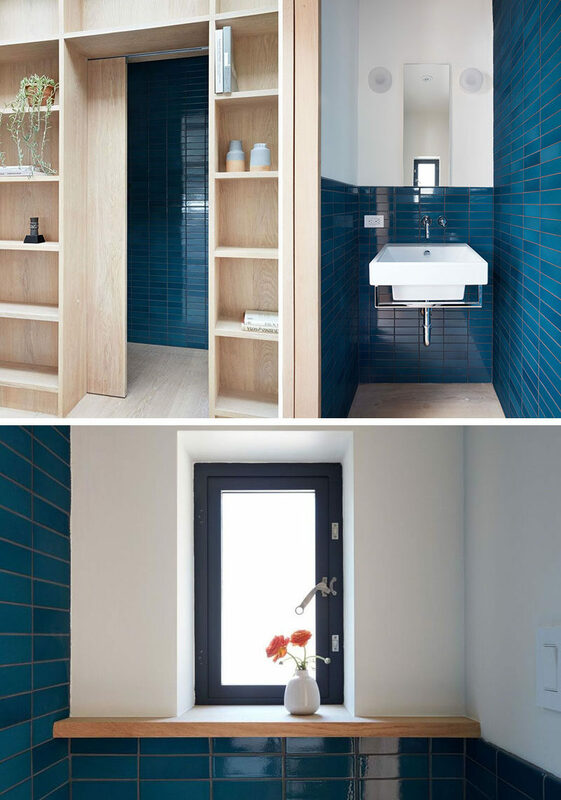 Hidden within the wall of shelves is a door that opens to reveal a powder room, that features bold blue tiles. 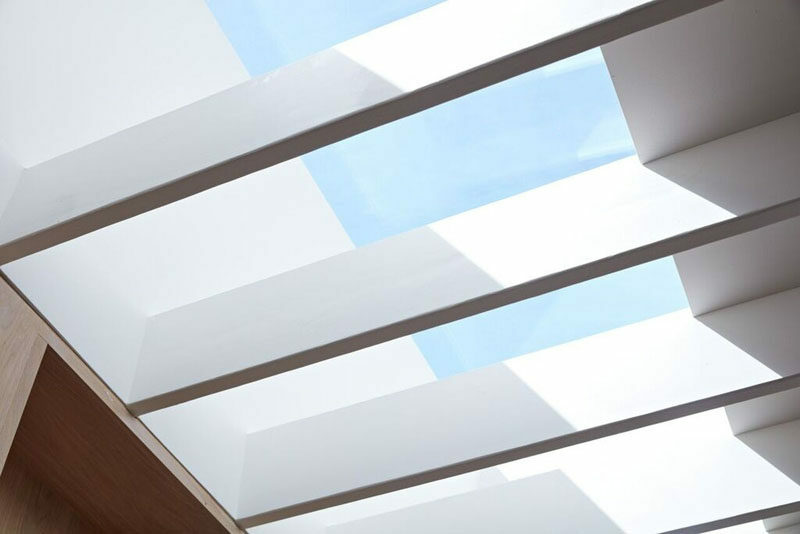 To make sure the studio is bright an airy, a long skylight spans across most of the building, while the exposed wood joists create shadows in the interior.